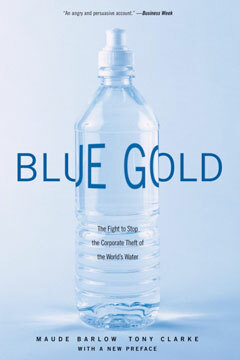 In this “chilling, in-depth examination of a rapidly emerging global crisis” (In These Times), Maude Barlow and Tony Clarke, two of the most active opponents to the privatization of water show how, contrary to received wisdom, water mainly flows uphill to the wealthy. Our most basic resource may one day be limited: our consumption doubles every twenty years—twice the rate of population increase. At the same time, increasingly transnational corporations are plotting to control the world’s dwindling water supply. In England and France, where water has already been privatized, rates have soared, and water shortages have been severe. The major bottled-water producers—Perrier, Evian, Naya, and now Coca-Cola and PepsiCo—are part of one of the fastest-growing and least regulated industries, buying up freshwater rights and drying up crucial supplies. Tony Clarke is the founder and president of the Polaris Institute of Canada and is a board member of the International Forum on Globalization. He lives in Ottawa, Canada.